There are many places around the globe that has a lot of raining all year long. Because of this, they have to deal with rainwater pouring everywhere. Although the initiative of investing in a rain gutter or downspout is a smart act in itself, sometimes taking an extra step is important. To take an extra preventive step, the best thing would be to invest in a rain chain. Since many homeowners are not aware of rain chains, understanding their importance is important! In Japan, rain chains have been there for centuries now and recently the United States have started using them as well because they are a “cuter” alternative to the conventional downspouts. There are some rain chains that are made with real chains while the others are just shaped into cups or bells that ring when the rain is slipping down them so they can get drained in their area. Apart from adding an attractive appeal to your house, they sound lovely. If you are not installing a rain chain correctly, it will be problematic, which is why the professionals should do it. Apart from having bad drainage, there will be puddles in and around your house, which will make the mildew, mold, and humidity increase. With too much water being around your house, your house will begin to crack around its foundation. Moreover, you will be able to see muddy spots, the yard will be soggy, and the water will be misdirected. The first benefit of getting a rain chain is that it will look more appealing than downspouts. You can purchase them in different styles and finishes (copper is available as well). As time goes on, copper develops patina that allows the rain chain to look weathered. There are rain chains that sound like music and the sounds are pleasant to listen to when it is raining. Although, installing rain chains is not rocket science, it would be better to let a professional do this task. When you are around the gutter place, you must get them inspected, cleaned, or replaced if anything is broken or damaged. The rain chain can be anchored if there are high winds hitting. Moreover, it is important to get these rain chains and gutters regularly so there are no issues affecting its efficiency. Since having a rain chain in your house can make it look more appealing, it is important for you to get one. However, the aesthetics are not the only thing that needs to be paid attention to because rain chains help discard the water effectively as well. Make sure you are purchasing high quality and effective rain chains so they work properly. 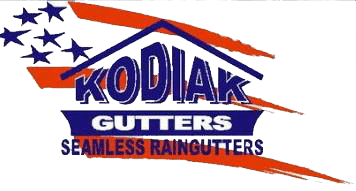 Kodiak Gutters provides all customers with the best rain chains. If you want to buy one, click here.